Visual Studio Code>Programming Languages>angular2-inlineNew to Visual Studio Code? Get it now. 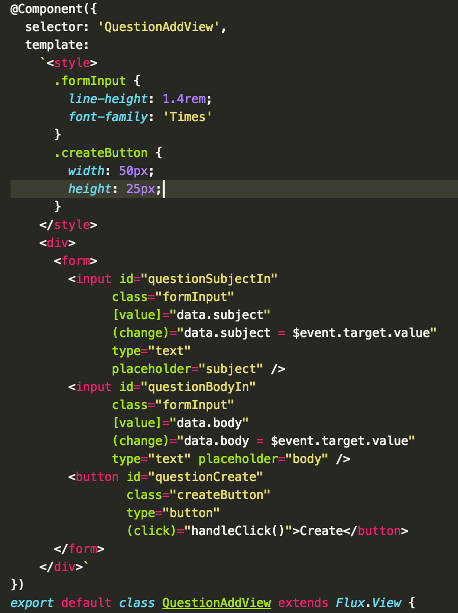 Syntax highlighting of inline html and css. Code completion, highlighting, and hover information for inline html. Below is an example of what the colorizer looks like in action. This extension uses modified versions of grammar files and code that is part of the vscode project.